Well we were out on some charters this week and were very happy with the results. Without a doubt we have seen an excellent start to the winter chinook season. Locally the fishing has been good and we are starting to hear some reports of good fishing from Nanaimo down to the Gulf Islands. It seems there is a good amount of bait in our local waters and not just the usual herring. The anchovies from this summer are still here, so that is great news. 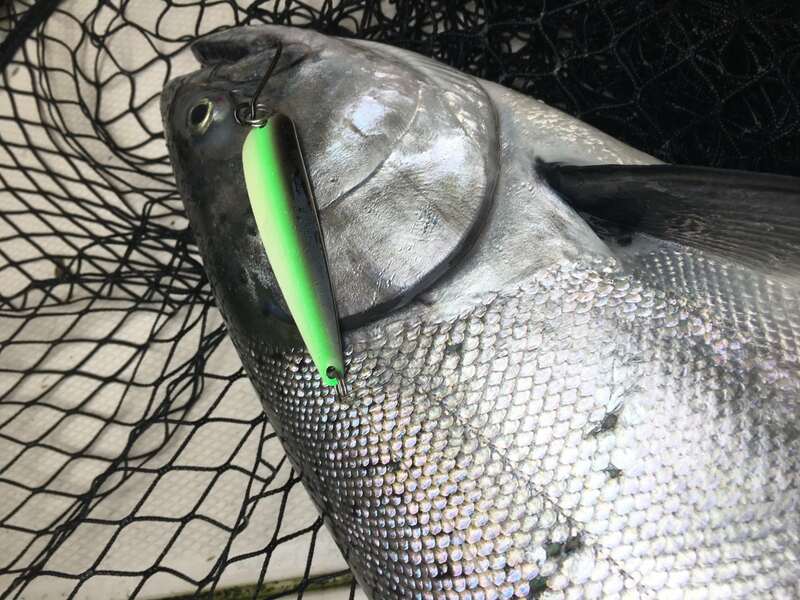 There is a lot of food around for winter chinook and that keeps them in our area longer and they grow that much faster. 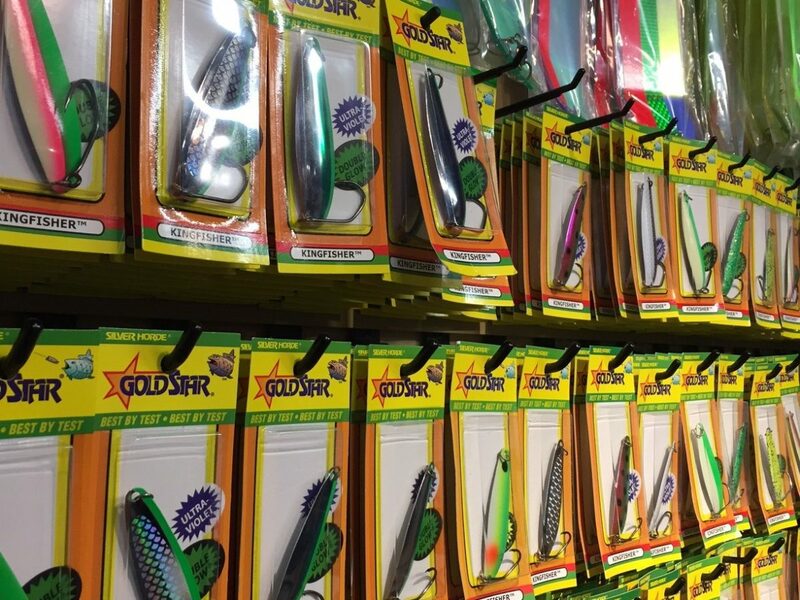 The usual winter tactics of keeping your gear close to the bottom has been producing well in conjunction with glow flashers and glow spoons. This past week we did well on the Kingfisher 3.5 in the Irish Cream colour as well as a new Pesca prototype spoon that is a little skinnier and lighter and will be a perfect spoon to represent anchovies. Both spoons were pretty hot this past week. The new Pesca spoon will probably be on the market around mid January and we will let you know when it is on the shelves. A great day on the water with 4 nice winter chinook to the boat! This prototype Pesca was on fire this week! 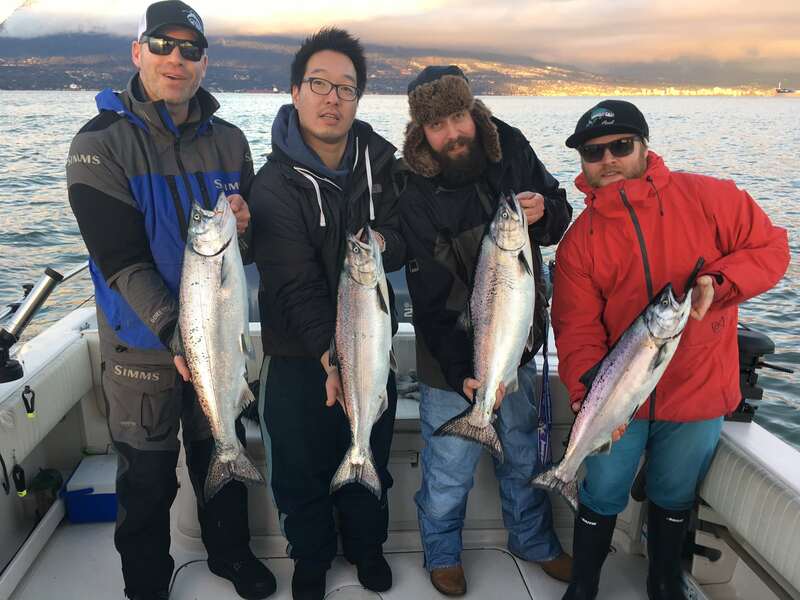 If you are looking for a day on the water, let us know, the winter season has started early and it is a great time to book a charter and get some of these tasty winter chinook!